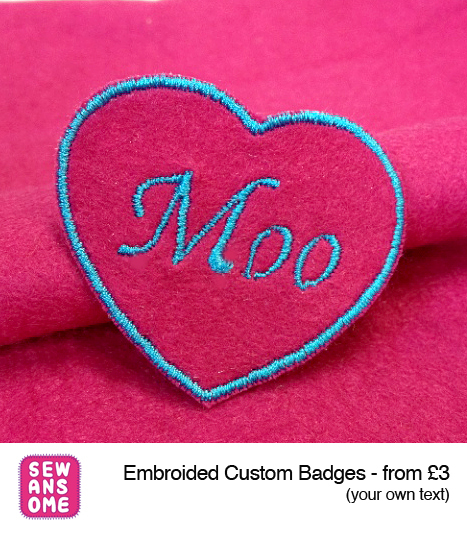 We now offer custom made embroided badges. Any words (letters), for example a name,different shapes and colours available. Prices start at £3. Get in touch to discuss and order. Fast turn around.